Samsung Galaxy S8 is beautiful indeed and it must be wonderful to watch DVD movies on this “all-screen” phone with 1,440 x 2,960 resolution. 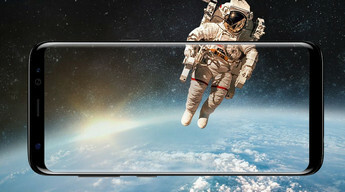 Before playing DVD movies on Samsung, the screen size and video source need to be adjusted by professional DVD converter or Ripper to fit the video parameters of Samsung Galaxy S8. There are some video players like VLC and other DVD convertors are able to do this. Here you can try a handy DVD and video converter - Any Video Converter Ultimate. It supports H.264, H.265, mpeg-4, xvid encoding to keep the lossless quality after conversion. 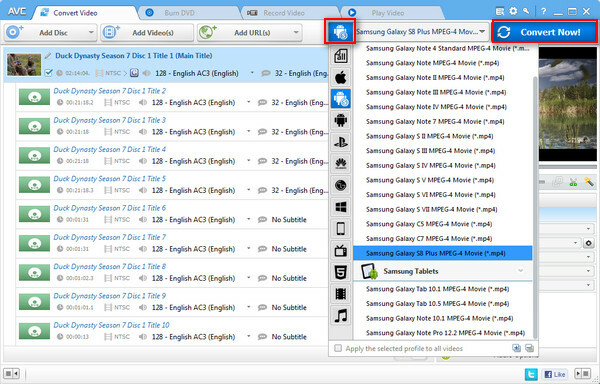 It allows you extract audio from DVD or CD to MP3, AAC etc to your Samsung. At the same time, customizing file size, DVD movie trim/crop/rotate, special effect, subtitle selection, audio track selection, external subtitles adding are perfectly supported by Any Video Converter Ultimate. Insert a DVD disc to computer DVD driver. Click Add Disc button, then a dialog will pop up, just press OK button, all DVD files will be loaded from your DVD to Any Video Converter Ultimte. Or you can click the drop-down menu and click Open DVD Folder on Add Disc icon. Step 2. 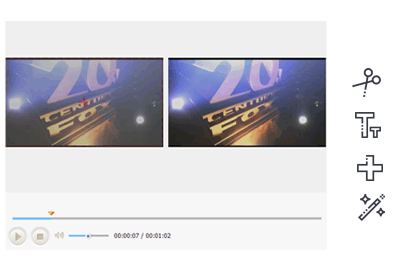 Select output video format and Set the Parameters. Click Samsung icon from the profile, and select Samsung Galaxy S8 Plus MPEG-4 Movie as output format from drop-down list. Other output formats like Customzied MP4, AVI, M4V, MOV, ASF, MKV, WEBM also can be chosen from the profile. And you can change Video Size, Qulaity, Video Codec, Bitrate, Video Aspect, Audio Codec etc from the right panel. Step 3. Start ripping DVD movies to Samsung Galaxy S8. Click Convert Now button on the upper right corner of the program to start converting DVDs. Once conversion finished, you can transfer these converted DVD movies to Samsung Galaxy S8. Any Video Converter Ultimate is the best choice to convert videos and audio to Samsung, because it supports all the major file formats input and output. At the same time, lossless quality will be preserved. Any Video Converter Ultimate enables you download online videos from 100+ sites including YouTube, Facebook, Dailymotion, Vimeo, Metacafe, Howcast, Niconico etc. Directly downloading music from Youtube and other sites is also available. And you can choose different download quality. If you take many videos while traveling or in daily life with Samsung Galaxy S8, you can use Any Video Convert Ultimate to burn these videos to DVD for collection or storage. Record online streaming videos, rental DVD and anything you can play, at the same time, high-quality output will be kept and gain perfect synchronization. Remove DRM protection from purchased and rented iTunes M4V movies, so that you play iTune movie on your Samsung Galaxy S8 and keep iTunes rentals permanently. You can use Any Video Converter Ultimate to edit and personalize Samsung Galaxy S8 videos you take to make them special. (3) Edit video codecs, dimension, bit rate, frame rate, sample rate, channel, video/audio quality etc.